HP Zbook 15 G4 - i7-7700HQ, 16GB DDR4, NVIDIA Quadro M2200 4 GB, SSD 256GB, Màn hình 15.6 Led Full HD. 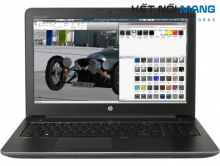 HP Zbook 17 G4 - i7-7700HQ, DDR4 16GB, SSD 256GB, NVIDIA Quadro M2200 4 GB, Màn hình 17.3 Led Full HD. ASUS E203NA-FD088T - Intel Celeron N3350 (1.1Ghz/2MB), 2GB LPDDR3L, 32GB Emmc, Intel HD Graphics 500, 11.6inch HD, HDMI, USB Type-C, 2*USB 3.0, Wifi AC, No LAN, Bluetooth 4.1, Card reader, 0.99 Kg, 2 cell, Windows 10 Home SL 64bits. ASUS E402NA-GA025T - Intel Pentium N4200 (1.1GHz up to 2.5GHz/2Mb), 4GB DDR3L, HDD 500GB 5400rpm, Intel HD Graphics,14inch HD LED, USB 2.0, USB 3.0, HDMI, LAN, 2 Cells,1.65 kg, Windows 10 Home SL 64bits. 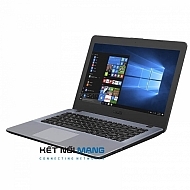 Asus Vivobook 14 - Intel Core i3 7100U 2.4GHz 3Mb,4GB DDR4-2133, HDD 500GB 5400rpm, Intel HD Graphics 620, 14 inchHD,Windows 10 Home SL 64bits. 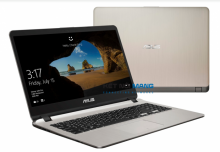 ASUS X407UA-BV308T - Intel Core i5-8250U (1.6Ghz/6MB), 4GB DDR4-2400, HDD 1TB 5400rpm, Intel HD Graphics 620, 14inch HD, Windows 10 Home SL 64bits.